When Marcella Vanzo presented her first performance, entitled Performat, at Lucie Fontaine’s space in Milan, one of the rules was to avoid photographic documentation. 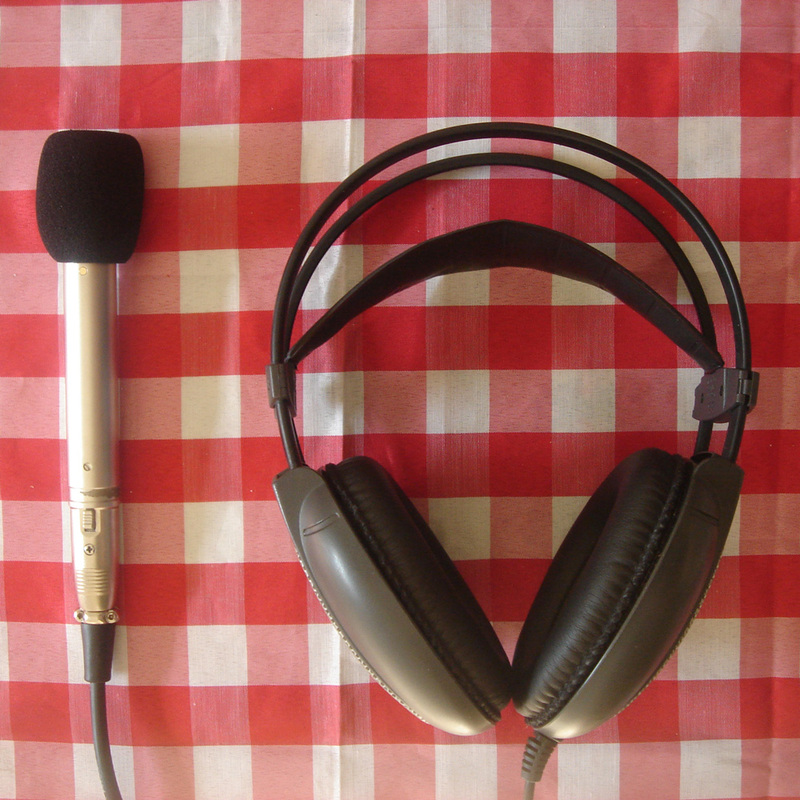 A soccer commentator was hired to make a life report of the project. This vinyl was recorded thereafter. The edition contains : 1 black box white-lined, 61.6 x 51.5 x 5 cm, especially created to conserve the prints according to PAT (Photographic Activity Test ISO 14523 e ISO 18916, Image Permanence Institute, RIT, Rochester NY.) 6 posters created and produced by Valerio Carrubba : High resolution-digital print on 255 g satin paper, 60 x 42 cm (each). Signed and numbered/retro. 1 edition curated by Lucie Fontaine: 2 tea bags (1 black tea + 1 white tea) embroidered and labeled with the info of the show, preserved inside a unique hand-folded paper folder. 1 invitation, edition for the show (100 copies numbered/retro): Sublimation print on black sandpaper, 11 x 11 cm with envelope. 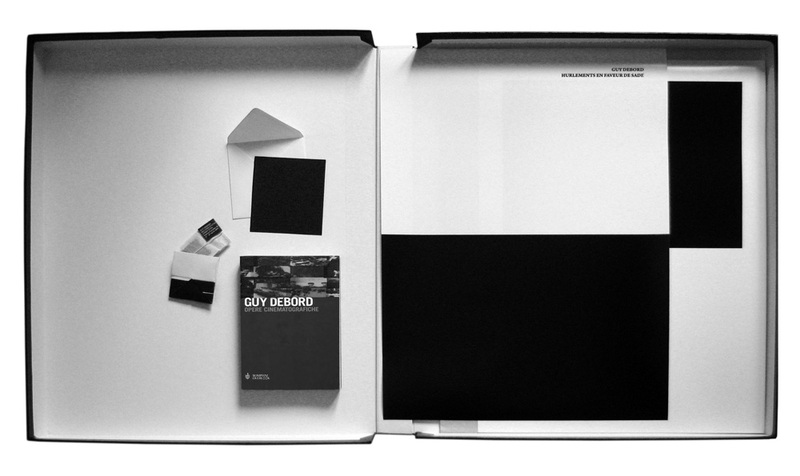 1 copy of the book Guy Debord Opere Cinematografiche, published by Bompiani Overlook, 2004, 315 pp. b/w illustrations. Translated by Fabio Ascari. This vinyl features a new version of Performat, this time presented at Performa09 in New York in collaboration with Jennifer Walshe. How do we look at a work of art? Is it like a monolith or a trailing plant? With The Nine Talismans, Lucie Fontaine traces a cosmology of contemporary art in an attempt to redefine the Western notions of signature and authorship. In her scenario, Paul Sérusier’s masterpiece The Talisman is not the starting point, but rather one of several constellations composing the cosmology she is about to explore. Deliberately disregarding a historical approach in favor of a reading that is deeply phenomenological, the author jumps from the very present to a remote past, analyzing specific attitudes through a discourse populated by figures like Giovanni Battista Boetti, Ylva Ogland, Corrado Levi, Édouard Manet, Giovanni Morelli, Filippo Brunelleschi, Jiří Kovanda, Babette Mangolte, Björk, David Robbins, Luther Blissett, Félix Guattari, and Fia Backström. 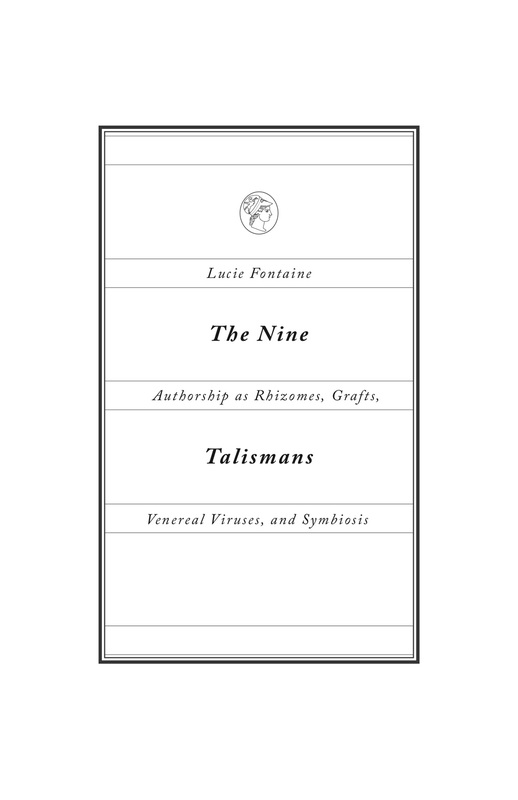 Through these authors, Lucie Fontaine brings the reader to eight events – eight talismans – that belong to the same legacy that transformed Sérusier’s L’Aven au Bois d’Amour into Le Talisman, the work of art we all know. Three texts written between anonymity, complicity and profound differences compose this publication. They can be considered as evidence of an impossible dialogue or as proof of the necessity to converge despite the diverging paths that two entities like Claire Fontaine and Lucie Fontaine are following. 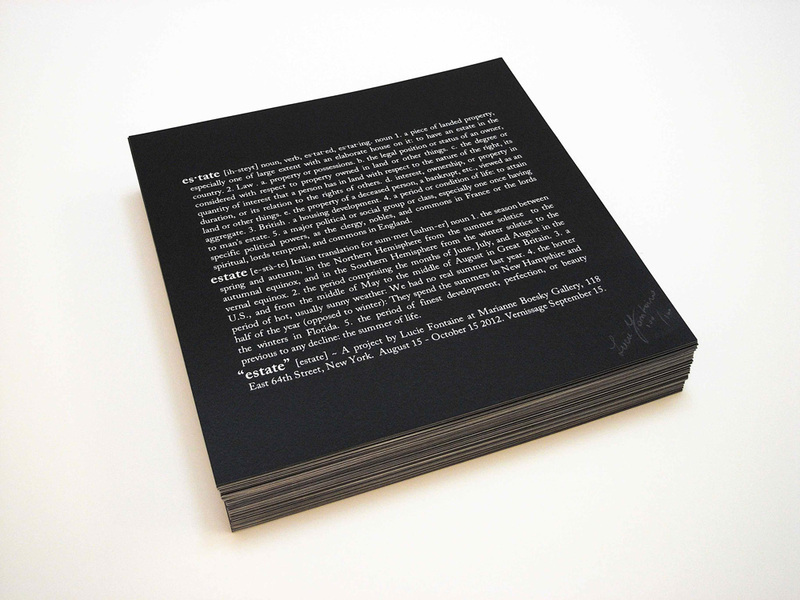 Two press releases, reproduced in the book, written anonymously by the two collectives were distributed on the occasion of the exhibition entitled “Exceptions” that took place at The Green Gallery in Milwaukee between April 28 and June 3 2012. 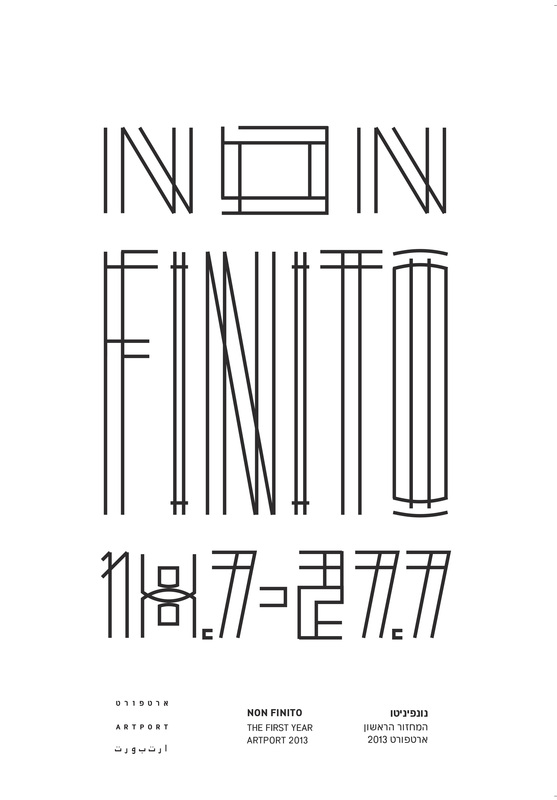 The aim of the double press release was to question the uniqueness of the point of view that this type of text always expresses as the only official truth on the exhibition spoken by the institution or the gallery that hosts it. Because there are as many possible press releases as there are viewers of a show, in this exercise the two collective desubjectivized themselves in order to become both spectators of both the artworks, their own and the one of the other artist. The text signed by Lucie Fontaine The State of Exception (After Claire Fontaine) is an explicit attempt to engage a dialogue with Claire Fontaine’s text from 2007 entitled Footnotes on the State of Exception, although the two essays draw very different conclusions and develop according to heterogeneous logics. If this publication maybe aims to confuse the novice reader and to create curiosity in the one that is already aware of the conceptual background behind these written gestures, it may actually have the complete opposite effect – it will puzzle the “expert” and talk straight to the ear of the neophyte. The goal of this publication is to present a series of interpretations and understandings of four topics : Signature, authorship, creativity and labor. Within this goal it is important to underline two facts : on one hand these topics have been presented within the field of visual art; on the other hand it is fundamental to consider the field of visual art as a context – a “symbolic territory” and sometimes even a place preceding our imminent future, a crystal ball if you wish – and not as a limitation. 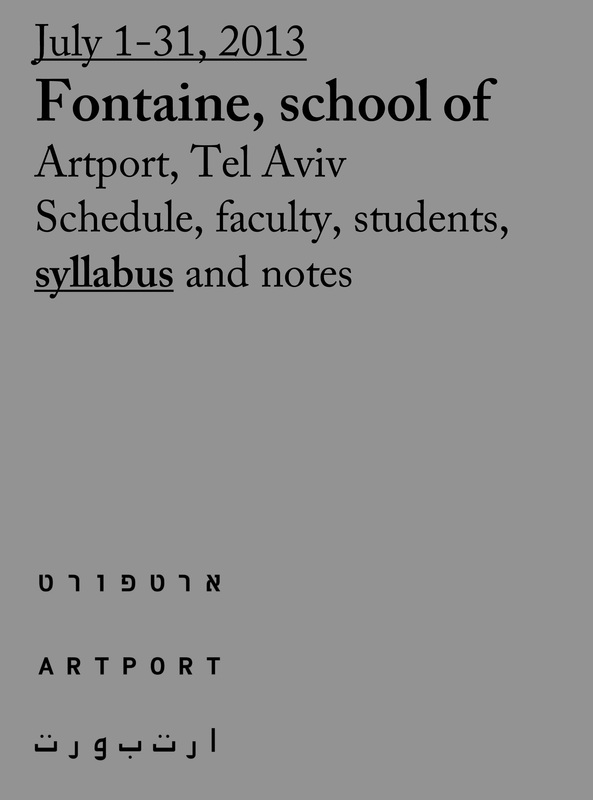 In other words although all the contributions in this publication put these four topics in relationship to the language of visual art, they can easily be used and transferred into a much broader field – that of contemporary culture and society at large. In fact many of the contributions are connecting art to social issues: from the Basaglia Law to corporate branding, from Marxism to art amateurism, from gender critique to fiction, from copyright laws to job conditions to name some of the key concepts presented here. Another important aspect is how the four topics have been analyzed or interpreted throughout the publication: trying to avoid any kind of monolithic approach each participant was asked to contribute in a very personal way and the result – sometimes very direct, sometimes more subtle – confirms the initial idea behind this project, which is to test how these topics can help us understanding our ever more confusing reality. Signature, authorship, creativity and labor exist here not as fixed categories but rather as elements to be combined or intertwined. Aware of this oxymoron-like “discontinuous pattern” we can see how some of the contributions are embracing only one topic, some are combining two or three topics, some are embracing all of them and some probably are not embracing any of them. Most interestingly the majority of them do not declare which ones or one are or is the subject of the analysis – its scope – but they rather let the reader find angles of interpretations through the lenses of signature, authorship, creativity and labor. Since at least the last three decades the field of visual art and by consequence our society at large has been experiencing an interesting kind of change : while the notion of “form” seems to have achieved a standpoint and a consequential impossibility of moving either forward or backward, horizontally or vertically, the notion of “format” – which is preferred over the too philosophically charged “structure” – is going through interesting transformations. This place of transformation is actually where a dynamic awareness of the notion of signature, authorship, creativity and labor becomes relevant in order to understand – and either support or combat – the new social, economic and ethical paths our humankind is currently undertaking. 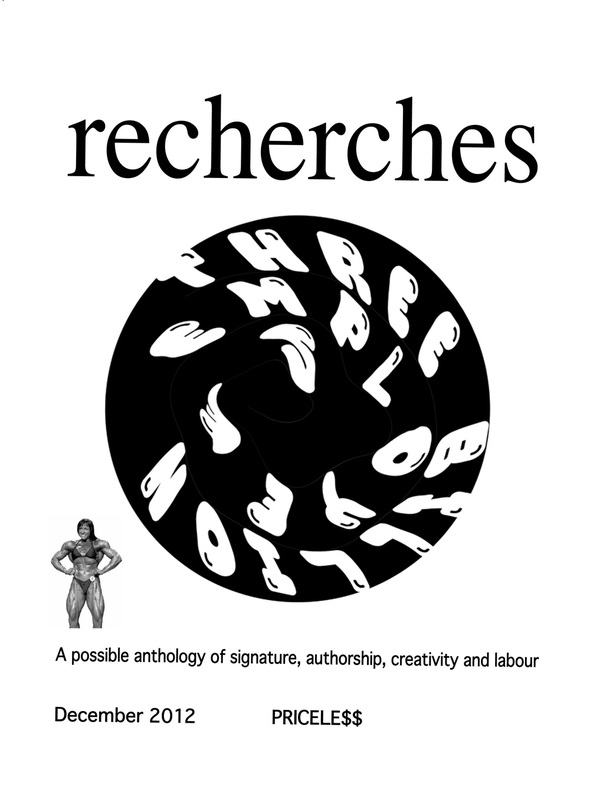 For these reasons this publication takes free inspiration from Trois milliards de pervers : Grande Encyclopédie des Homosexualités, the infamous special issue of Recherches edited by Félix Guattari in 1973 and devoted to homosexuality in France, which was seized and destroyed by the French government and saw Guattari facing a trial for outrage to public decency. For that issue all authors decided to remove their names from their own contributions. They were listed at the beginning and never again in the publication. This act – accompanied by a playful and collective layout here also reinterpreted according to the aforementioned four topics – underlined already a desire to confuse the reader and to undermine, redefine and especially question, the notion of labor : who worked on what in the publication? Creativity : can I express myself in unity? Signature : is the absence of signature a new kind of signature? And authorship : how do I convey my uniqueness and consistency if there is no sign defining it? Here we took the format (and its related forms) of Three Billion Perverts (here Three Billion Employees), trying to ‘fulfill’ it again with new content and new ideas and letting them grow by inviting different players to contribute to this body of work. This was a way to propose a set of questions, propositions and reflections on disparate situations happening everyday in our ever more porous and interchangeable reality. Paying homage to Joseph Kosuth’s seminal series “Art as Idea as Idea” this edition was first conceived as the Artforum advertisement for the homonymous project presented at Marianne Boeksy Gallery. The work plays with the different meanings of the word “estate” in English and Italian. Series designed by Rita Jules, Miko McGinty, Inc. 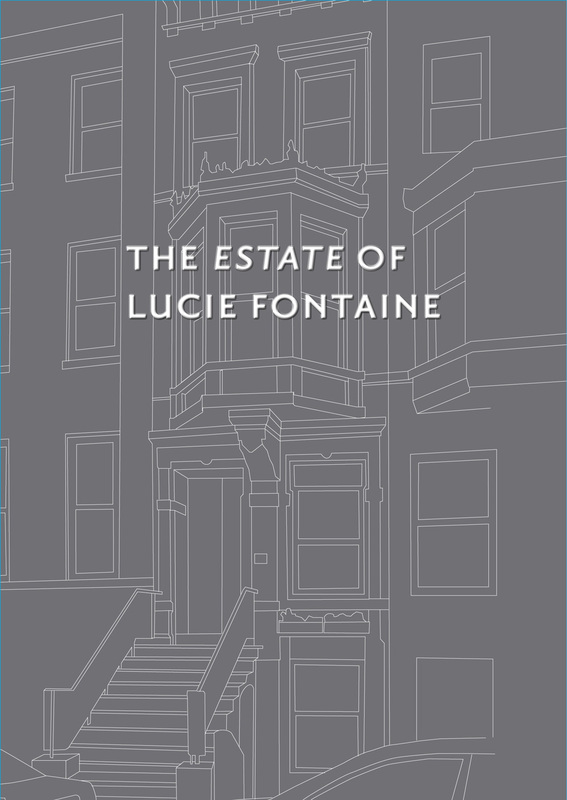 The Estate of Lucie Fontaine is set in a Victorian townhouse located at 118 East 64th Street, on New York’s Upper East Side. One day, gallery owner Marianne Boesky invites Lucie Fontaine to move into the building for two months. The meeting of two characters – an art dealer and an art employer – is the prologue of the story, which starts on August 15, 2012, the Italian “Ferragosto,” when Lucie Fontaine and her three employees – Elena Tavecchia, Alice Tomaselli, and Nicola Trezzi – start treating the townhouse as their private residence. With the help of antique dealer Jon Howell, they furnish the rooms according to their taste and to suit the art for a show they have decided to organize in the building. During the preparation for the show, the roommates cook, have arguments, laugh, cry, and have friends over – they live in the space as if it were their own. On September 15, Marianne comes back and claims the space as her gallery. Lucie goes back to her hometown of Colmar, France, but Alice, Elena, and Nicola stay, and the space becomes the vessel for two parallel realities: the private house on the one hand and the commercial gallery on the other. Although parallel, these two realities start to intertwine and dramatically the three employees experience the loss of their intimacy as they realize that, ultimately, their presence has become essential for the show. Lucie’s employees share time with Marianne’s gallery staff – Aniko Berman, Ricky Manne, and Veronica Levitt – as well as with the show’s visitors. The reality in the house is dynamic. 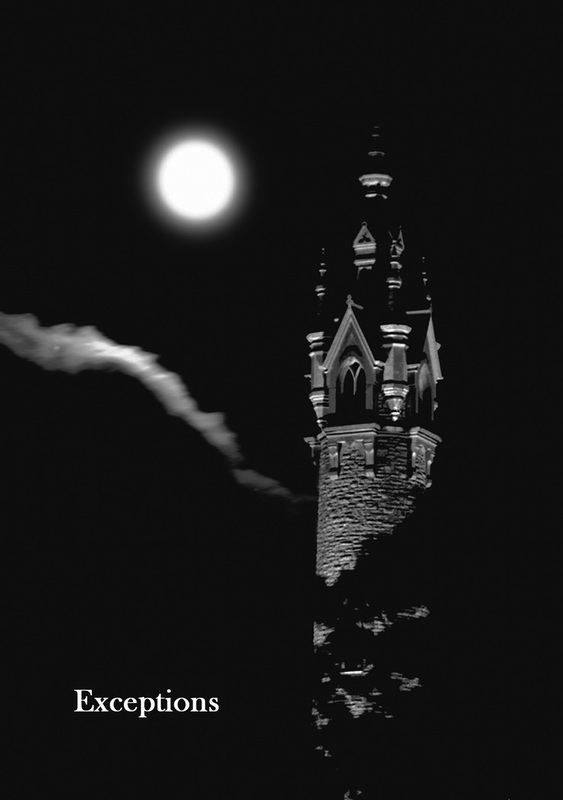 Day and night, things never stop – discussions, performances, dinners, and events – until the grand finale on October 15. Ironic and peculiar, The Estate of Lucie Fontaine is an open window revealing the sophisticated and yet improvised life of Lucie in New York. Written by different authors and divided into chapters according to each room and its motif – “Domesticity,” “Salon,” “Bouquets,” “Father Figures,” and “Children of Babel” – this unputdownable book will surprise and engage you throughout. 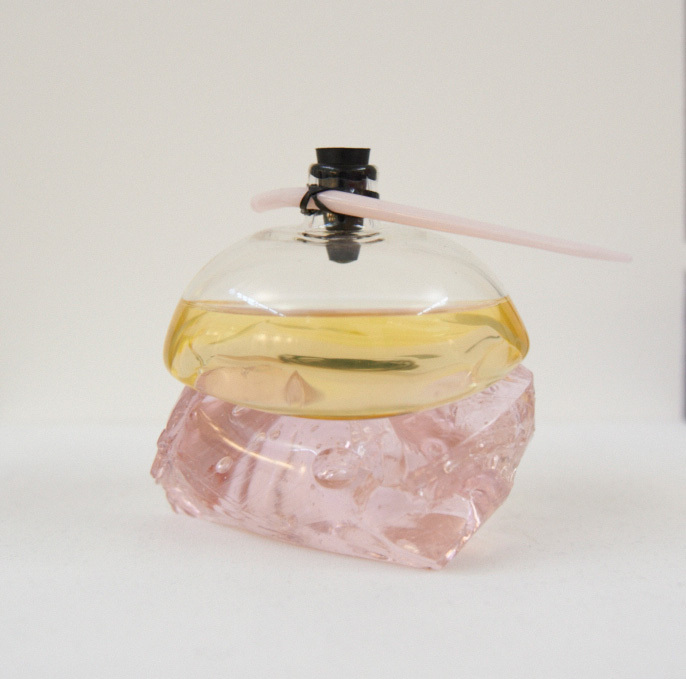 This fragrance was created for 光泉 Space, Lucie Fontaine’s satellite in Tokyo. Inspired by Lucie’s diaries as well as by notes taken by scientist and space engineers, this fragrance includes oriental scents of wood and incense and has a metallic and synthetic character. The bottle, called Klaao, has been designed by Chiara Onida + AUT and produced with the traditional technique of the Venetian glass workshops. 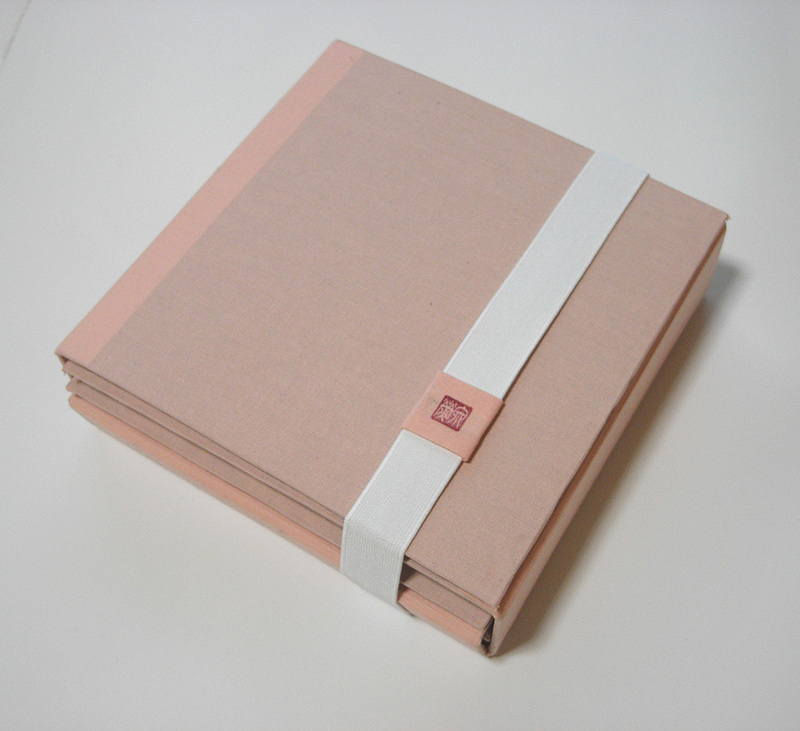 This artist book is a portrait of Lucie Fontaine. Following the tradition of pop-up books but also Marcel Duchamp’s seminal work Boîte-en-valise (1935-41) this Chinese box-like publication includes some of the formal and figurative elements that characterizes the iconography of Lucie Fontaine.